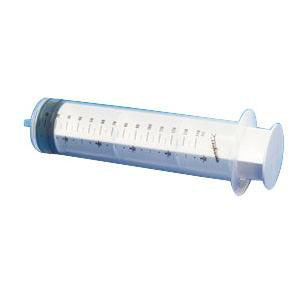 Monoject 140 mL piston syringes are designed for safe, easy use. Completely latex-free to reduce the risk of skin irritations and allergies, this piston-style syringe holds up to 140 mL of fluid and has bold, dual graduations in both milliliters and ounces. These non-sterile syringes are autoclavable for easy sterilization and come in three different tip styles. Bold, dual graduations: 140 mL in 5 mL increments and 5 oz. in 1/4 oz. increments.